ST NICHOLAS Schola Cantorum will host a series of concerts and performances throughout November, with the shows billed as 'Remembrance, Contemplation, Reflection, Fun, Anticipation'. There are four strands to the concert series in St Nicholas' Collegiate Church. The Compline concerts are candlelit services of contemplative prayer and music, taking place this evening, November 12 and 19 at 8pm. Admission is €10 but children go in free. Brahms For Remembrancetide, takes place this Sunday at 5pm, and features soprano Aisling Kenny, pianists Ronan De Burca and Ramin Haghjoo, and organist Mark Duley. A series of coffee concerts on Saturdays at 11am. On November 14 hear Mark Duley and Ronan De Burca; on November 21 it is organist Raymond O'Donnell and violinist Tom Murphy. Admission is €10 and coffee will be served. 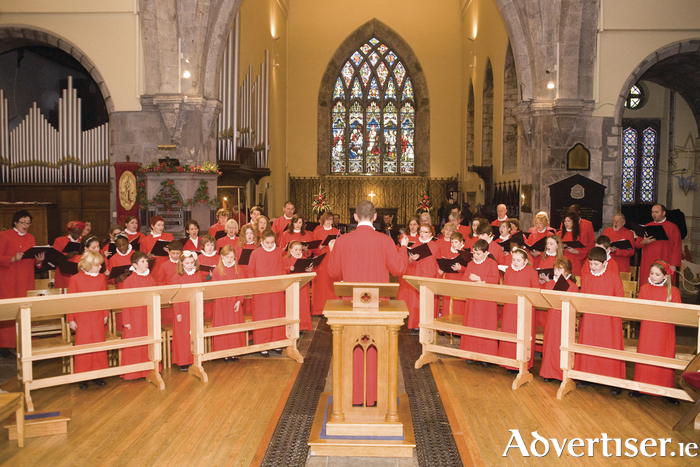 The Advent Procession, with song by the parish choir, takes place on Sunday November 29 at 5pm. All are welcome.